Six races. Four wins. 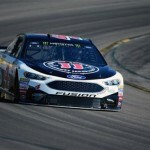 Stewart-Haas Racing is rocking it at the outset of the 2018 Monster Energy NASCAR Cup Series campaign. There are a number of ingredients in the blend that is fueling success at SHR. Technology. Talent. The desire for a manufacturer new to the team to demonstrate the change did the team good. It’s all of those things, plus a group of hungry drivers with differing stories eager to prove something. 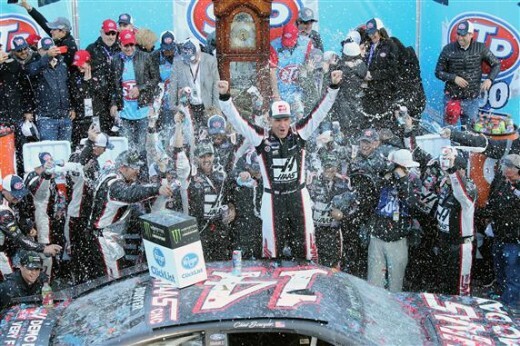 2014 champion Kevin Harvick wants another. He no doubt blesses the day he moved from Richard Childress Racing to SHR. It’s changed his career in a massive way. In four-plus seasons, Happy has reeled off 17 of his 40 Cup career victories. He’s gone from being a solid driver for his generation to generating a Hall of Fame worthy resume. 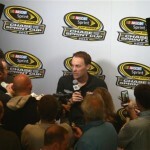 It’s safe to say Harvick isn’t thinking of that right now, but a second championship would cement that legacy. 2004 champion Kurt Busch is to some degree racing for his job. The 39-year old has had decent success during his four-plus season run at SHR. He’s won five races, including a career-defining victory at Daytona. You can’t get around the fact that he’s at an age where you wonder how much he has left. Wins have a way of answering that question quickly. Right now, the Las Vegas native ranks 10th. Clint Bowyer was at a stage in his career he could have easily faded from view. 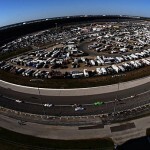 Monday’s victory at Martinsville changed all that. The 190-race winless streak is over. He’s relevant again. Ranked eighth at this point, Bowyer’s second season at SHR is paying dividends. One might think much of his struggle has been the result of being on the wrong team at the wrong team. That’s not the case now. It’s stand and deliver time, and Bowyer is bringing it. Another driver hungry to prove his name belongs among the best is Aric Almirola. After years of languishing at Richard Petty Motorsports, AA has started well in the seat once occupied by Danica Patrick. Considering where the 10 team was, they’ve made huge gains with Almirola in the cockpit. The 10 car is famous for something besides wrecking. SHR could do much worse than a number-11 ranking in the standings. Do you get the feeling a win is coming? The gang at SHR is living the dream. The season is far from over, but one gets the feeling this organization is far from over. There’s nothing like hungry to drive motivation that leads to success.